Building bigger muscles can be easier than you ever thought possible. These 5 time-proven techniques show you the way. 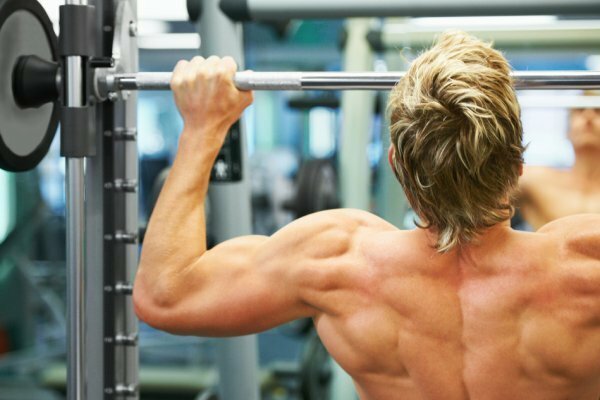 So, this article isn’t going to teach you everything you need to know, but it’s going to give you a thorough understanding of the fundamentals of muscle building. Put these five principles into use and you will see results. They push themselves way harder than they should. They don’t push themselves hard enough. Both of these mistakes stunt progress, but I’d say the first is far worse. It eats up time, health, and motivation, it leads to overtraining, and it’s basically impossible to sustain as a lifestyle. The key to making long-term progress is being in the middle of these two extremes. You want to train hard enough to overreach, but not overtrain, and you want to avoid falling into a rut of half-assed “good enough” workouts. This latter point is extremely important. Many people don’t realize how rigorous you need to be in your diet and training to continue making progress beyond the “newbie” phase. You see, when you’re new to weightlifting, haphazard dieting and mediocre workouts can produce acceptable, or even good, results. “Newbie gains” are very real and they can obscure quite a few mistakes. Once the honeymoon is over, though–6 to 8 months for most people–all progress comes to a grinding a halt. It’s like a switch was simply flipped off. And I know firsthand how much time and money you can spend trying to figure out how to turn it back on. Well, a big part of doing just that is making sure you’re giving enough in your weightlifting. You have to follow a well-designed workout program, you have to progressively overload your muscles, you have to handle heavy weights, and you have to ensure you’re recovering. The reality is squatting, deadlifting, and pressing hundreds of pounds over and over every week isn’t for the lazy or weak willed. It requires both physical and mental toughness. And many people would rather chat and play on their phones than do the hard work. Let the Chatty Cathy know that while you have nothing against socializing, too much of it detracts from your workouts. Get an iPod and fire up music that gets your heart thumping. Work out when you feel strongest and most energetic. There are often inner obstacles to overcome as well. Sometimes we psych ourselves out of lifting heavy. Sometimes our minds are distracted. Sometimes we’re just in a bad mood or don’t want to be in the gym. One of my favorite ways to overcome these mental obstacles is to use visualization techniques. They help me “tune out” the head noise and focus on the tasks at hand. I know, I know–it sounds woo-woo but it’s actually science-based. 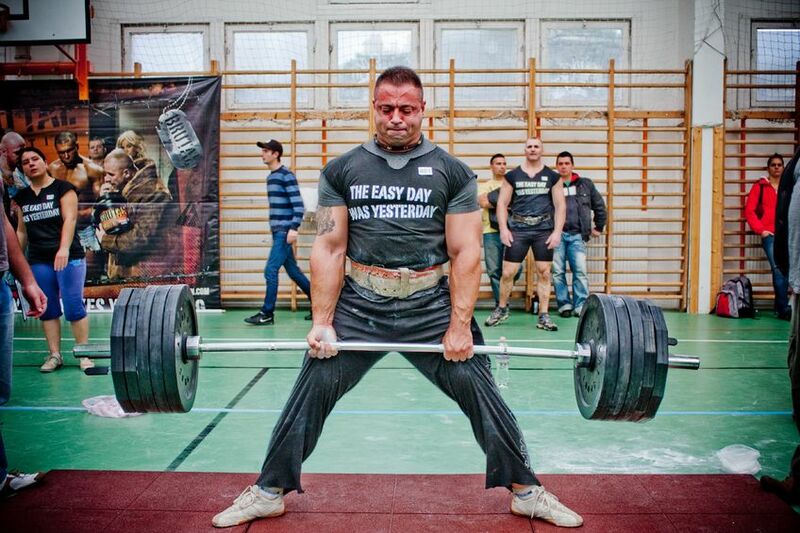 Research shows that mental imagery can enhance your weightlifting performance. Visualize the workout you’re about to do and the goal you want to achieve. See yourself getting your reps target or hitting that PR. Imagine performing your first rep successfully before starting your set. Imagine performing each next rep successfully as you do them. After completing your set, if you ran into trouble, imagine correcting it and performing a problem-free set. If the set went well, imagine adding weight to the bar and doing a good set. Try it. You might be surprised how much it helps. Dietary laxity is one of the biggest mistakes you can make when you’re trying to maximize muscle growth. No workout program can overcome a poor diet. If you don’t get your food right, you’re not going to get very far. Period. And a big part of getting your food right is getting enough protein. Consistently. 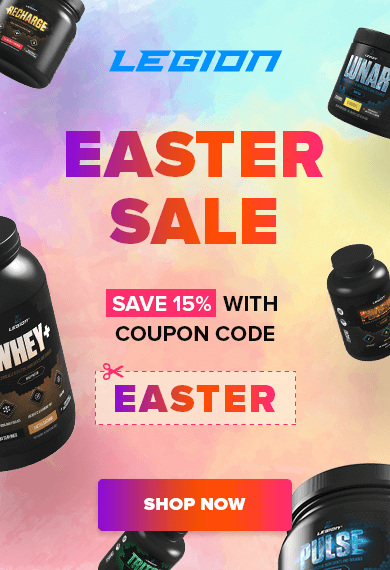 I emphasize “consistently” because just about everyone into weightlifting knows that a high-protein diet is ideal for building muscle, but they don’t realize the importance of dietary “stability,” if you will. That is, if you want to get the most out of your training, you need to be eating enough protein every day, including the days you’re not training. 1. If you’re in a calorie deficit, eat 1.2 grams of protein per pound of body weight. If you’re a man over 20% body fat or woman over 25%, make that 1.2 grams per pound of lean mass. 2. If you’re not in a calorie deficit, eat 1 gram of protein per pound of body weight. For men over 20% and women over 25%, 1 gram per pound of lean mass. If those numbers sound high to you, check out this article on protein intake and building muscle. One other point worth discussing is protein frequency. You’ve probably heard that you should be eating protein every few hours to build muscle more effectively. This reeks of broscience and many people dismiss it as such, but there may actually be something to it. We know that meal frequency has no effect on the metabolism and weight loss, but research shows that “protein frequency” may be worth paying attention to. or 2x40g every 6h (BOLUS; n=8). 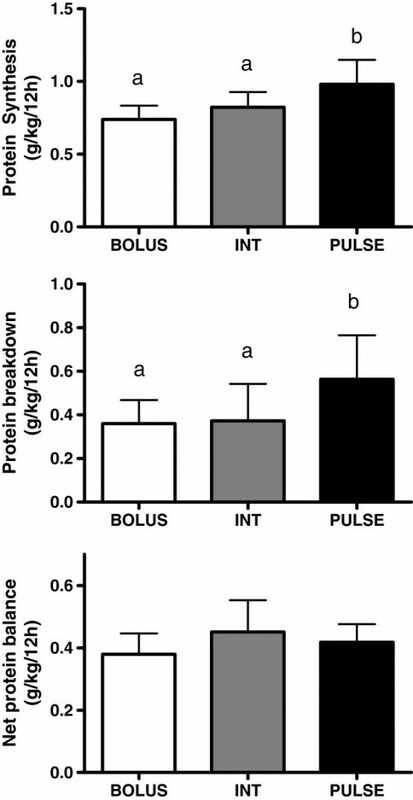 As you can see, eating protein every 3 hours produced the most favorable net protein balance, which relates directly to muscle growth. Protein frequency is a minor point–eating enough protein every day is much more important–but if you’re looking to build muscle as quickly as possible, it’s probably not a bad idea to eat at least 20 grams of protein every few hours. There’s a reason why using improper form is called “cheating”–you’re cheating yourself out of gains (and increasing the risk of injury). The goal of every rep isn’t to see how much weight you can stack on the bar–it’s to make your muscles do as much work as possible. And the better your form, the better you can do this. When we’re talking exercise form, we’re talking about technique and range of motion. Examples of proper technique are moving the weights in a controlled manner, keeping your elbows “tucked” when you bench press, maintaining a neutral lower back when you deadlift, keeping your knees in line with your toes when you squat, and so forth. Examples of proper range of motion are squatting to or just below parallel, touching the bar to your chest when you bench press, and touching the bar to your upper chest when you overhead press. It’s very important that you get both of these things right. Poor technique increases the risk of injury and reduced range of motion reduces the effectiveness of the training. Learning proper form on all exercises you perform is relatively easy and straightforward. Scott Herman has a good collection of instructional videos and books like my Bigger Leaner Stronger and Thinner Leaner Stronger and Starting Strength are great for delving into the finer points of heavy compound weightlifting. Your body’s ability to build muscle is strongly affected by how much food you eat. Eating enough protein isn’t enough. If you want to build muscle as quickly as possible, you need to eat enough calories as well. If you undereat, your body simply won’t be able to build much muscle. If you feed your body less energy than it burns, you’ve created a “negative energy balance” or “calorie deficit.” This is necessary for losing fat. It impairs your body’s ability to synthesize muscle proteins. That is, your body just can’t add to muscle tissue efficiently when in a calorie deficit. It reduces anabolic and increases catabolic hormone levels. This double-whammy of reduced testosterone and increased cortisol levels further blunt your body’s ability to build muscle. I don’t need to cite research here because anyone that has restricted calories for fat loss quickly learns this. Newbies can gain strength while in a calorie deficit but most experienced weightlifters are going to experience slight strength loss while dieting. The best they can hope for is maintaining their strength. This, of course, isn’t conducive to muscle growth. These are the three reasons why maximizing muscle growth absolutely requires that you ensure you’re not in a calorie deficit. The most reliable way to do that is to slightly overshoot your body’s energy needs and place it in what’s known as a “calorie surplus.” This is why it’s often said you have to eat big to get big. No matter what you do with your macronutrients or eating schedule, if you want to build bigger muscles, you simply can’t get around the need for a positive energy balance. I used to be that guy who showed up to the gym every day, only to lift more or less the same weights for more or less the same reps for months on end. I saw no real difference in the mirror—no noticeable muscle growth and no reduction in body fat percentage. What did I do in response to the seemingly never-ending problem of “no gains?” I changed things, of course. You know, I tried new exercises and routines, new diet “tricks,” or new supplements. This “shotgun” approach never worked—my strength and body composition didn’t change much as time went on—but I dutifully kept searching for the “workout of the week” or dietary “insight” that would finally show me the way…only to continue to be disappointed. While much of the blame for this long, frustrating cycle of letdowns and setbacks lay with the workout programs and diets themselves—they were so flawed that no natural weightlifter could do well with them—there was another major mistake I was making that dramatically exacerbated the problem. Sir William Thomson, also known as Lord Kelvin, was an ingenious physicist and engineer, and he said that when you can measure something and express it in numbers, you know something about it, but when you can’t, your knowledge is lacking. This insight is applicable to training and dieting. If you can measure your progress (or lack thereof) and express it in real numbers, then you know whether you’re going in the right direction. If you don’t have any consistent, objective way to measure progress, then you’re going at it blind, hoping for the best. I was doing the latter, never really knowing whether I was increasing my strength over time or whether I was eating properly for my goals. I’ve since learned that one of the most effective ways to prevent getting stuck in a rut of no gains is simply to track your numbers. That is, you should keep a training journal that includes what you do in each workout and you should either track or plan your daily food intake (and stick to the plan!). To some, this may seem a bit obsessive, but I think you already know why it’s absolutely vital to continued success in this game. As the old adage goes, it’s a marathon, not a sprint. Yes, you can radically transform your body and life and enjoy the ride, but no matter how you look at it, it takes a real investment of time and effort. The tricky thing about building muscle and strength is that it comes slowly, bit by bit. If you’re just starting out, you’re going to see huge jumps in strength for the first several months, but eventually, your progress will slow down. From that point on, you will have to consciously work for every rep of improvement in your lifts and every pound of muscle added to your frame. This is where things get hazy for people who don’t keep journals. Unless you have superhuman memory, you won’t know exactly what you did the previous week for the various exercises in your workout. Sure, you might make a mental note of the “ego” lifts like bench press and dumbbell curls, but what about everything else? You need to approach all lifts with the same attention to detail. When you don’t know what you did the previous week, you don’t know what you’re shooting for this week. As your goal with every workout is to do just a little more than the last time you performed it—even if it’s just one more rep with the same weights—you can see the problem here. When you step up to the bar, you don’t want to be trying to remember what you did last week. You want to know exactly what you’re going for. If you bench pressed 245 for 4 reps last week, all you care about when you get under that bar is pressing it for 5 reps. Go ahead and even see yourself doing it in your mind’s eye. Then the next week, your goal is 6 reps on the first set, at which point you’ll add weight and go for 4 reps on the second set. This is how you build muscle and strength: one rep at a time. A successful workout is one where you made progress—where you got one more rep than last week or moved up in weight. If this doesn’t happen, don’t despair, but you need to push harder the next week. The bottom line is that if you don’t keep a training journal, it gets real sloppy real quick. Lifting random amounts of weight for random numbers of reps every week doesn’t work nearly as well as an accurate, linear model of progression driven by real data. You can use an app such as the…ahem…completely awesome one I’m developing called Stacked (which will go into beta this summer). You can try other apps on the market but expect to be disappointed. You’ll probably find it easier to just use a Google sheet, a note-taking app on your phone, or even a plain old notebook that you write in each week. Every day, trillions of cells in your body are dying and being replaced. This is known as “cell turnover,” and it’s regulated by a complex system of proteins and hormones. In healthy people eating a sensible diet, muscle tissue is fairly stable because the cycle of cellular degradation and regeneration remains balanced. That is, the average person doesn’t lose or gain muscle at an accelerated rate–his or her total lean mass more or less remains level. Things change with resistance training, though. Namely, it damages the cells in our muscle fibers, which signals the body to ramp up protein synthesis rates to begin the repair process. The body doesn’t just repair the muscle fibers to their previous state, though. It adds cells to them, making them bigger and stronger and better able to deal with the stimulus that caused the damage. Eat enough protein and, maybe, eat it frequently enough. We’ve already discussed these things so I won’t repeat myself. Make sure you’re giving your muscles enough rest in between workouts. High-frequency and high-volume training is very popular these days but it’s also treacherous territory for natural weightlifters. You can train muscle groups several times per week but, if you don’t properly manage intensity and volume, you’re going to run yourself into the ground (trust me, I know–I’ve done it). If you’d like to know more about finding the right training frequency, check out this article. Supplement with creatine and carnitine. 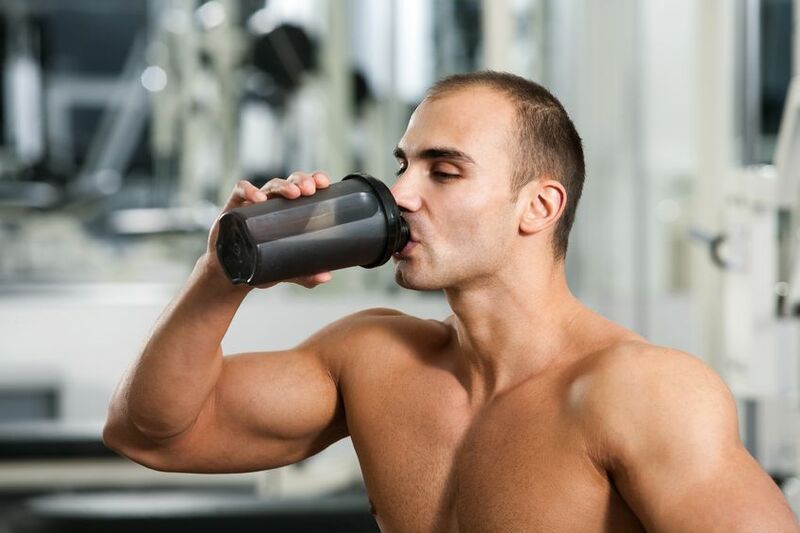 Creatine is a substance created by the body and found in foods like red meat, and it’s the one supplement that every weightlifter should be taking. Among its many benefits related to improving muscle growth and strength are reduced exercise-induced muscle damage and inflammation. Research has shown that supplementation with carnitine reduces exercise-induced muscle damage and soreness and improves muscle repair. Train heavy and train hard, but not so much that you overtrain. Eat enough protein and calories. Track your progress and always push yourself to improve on your previous workouts. Make recovery as much as a priority as training. If that’s all you knew, and if you really embraced those principles, you’d make better gains than 90% of the people you see in the gym. They’re really that important. So get them in and let me know how it goes. What’s your take on building bigger muscles? Have anything else to share? Let me know in the comments below! Muscle for Life Success: Julian S.